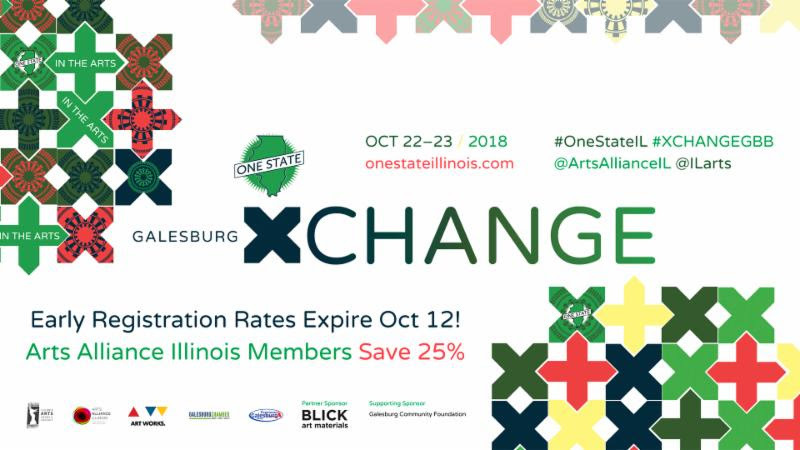 The Illinois Arts Council Agency (IACA) is offering scholarship support of up to $750 to attend the conference. Applications will be accepted from eligible Illinois not-for-profit arts organizations, units of government & institutions of higher education with staff that are arts advocates, administrators, educators, funders & practitioners representing the broad range of creative activity & disciplines found across Illinois. Monday, October 1, 2018, 5 pm. Galesburg, Illinois on October 22 and 23, 2018. To learn more about the scholarship opportunity & receive an application, contact Teresa Davis, Administrative Assistant, at teresa.n.davis@illinois.gov. Click HERE for more info about the conference & to register. No Comments to "One State Together in the Arts Conference"